Aquaria is just 500m from the centre of Candi Dasa and perfectly placed as a base for you to explore everything that East Bali has to offer. Take a tour - a half day tour with car and driver costs about 250-350k, and an all day tour costs 500-600k, depending on kilometres. Plus entrance fees. The driver will wait for you whilst you visit any place of interest. It’s best to negotiate a rate before you go. If we negotiate the rate, then we will honour that rate, and you can pay with your bill at the end of your stay. Most drivers do not own the car, but must hire it, plus pay the petrol, so they might not be willing to take you too far if you have negotiated too hard. $50 for a whole day out is a good value way to see East Bali. A tip of 50,000 is recommended, but remember that the driver will get commissions from every place he takes you! Candi Dasa supports a co-operation of 50 drivers, the driver arriving first gets a number and he is the first one called out, etc, so that all drivers get a chance to get a job if they want one. Those without numbers will find you on the street. You can hire a car and drive yourself for about $20 a day, plus petrol @ $10 (100k). Check you have an international drivers license & check the insurance conditions. Motorbikes are about $5 day, but please take care. Yoga - 4pm every day at the Ashram, 5 mins walk from Aquaria just past the lagoon. 50k donation. Local balian Nengah - experience a therapeutic, spiritual & chiropractic type healing session with a local healer. His belief is that all emotions and traumatic injuries are held in the cellular memory within the muscles, nerves, bones in the body and spine, and he works on these areas to give relief from years of suffering. We offer Nengah a free space to work here. Lampuyung Temple nearby Tirtaganga and on the way to Amed. You can go to the first level without a guide, but must take a guide up the steps to the top. About 400k for 2 includes car and guide. You can also take the East Bali Bike tour which will end with a visit to Lampuyung Temple. Priced from 500k per person includes guide and bike, and transport. The Mother Temple of Besakih - all Bali Hindus must visit once in their lifetime. It's about 1 hour from Aquaria, and a thousand steps up to the top. You will need a guide and a sarong, and long sleeves Beware of hawkers. We can organise this trip for you 500k for 2-4 guests, plus entrance fee and guide. Tirtanganga Water Garden - built by the last king of Karangasem Regency. He travelled the world and created his water garden on the features he had seen in on his journeys. His palace was destroyed in the 1964 earthquake but his garden remains. 20-30 minutes to the East, via Amlapura. 20k entrance fee. Tirta Ayu restaurant inside. Ujung Water Palace - the King of Karangasem’s holiday house. A museum on the water. Rooms linked by water. You can see photos of the king with his 8 wives and many children and get a glimpse of their life in Bali. 15 mins to the east on the coast between Jasri & Seraya. 20k entrance fee. Tenganan Village- the original Hindu people, the Majapahit, who fled from Java to set up in Bali. They live within a 500 square metre village compound and must marry within the village. The ceremonies include the Pandanus fighting between the men, the Gong swing initiation for the boys. The girls dancing and dress is different from the rest of Bali. Take a guide & you will see double ikat weaving & unique woven baskets, or watch a craftsman make your Sanskrit calendar. Nowadays, the people are allowed to work outside the village. 10 mins. Natural sea salt makers - you will find these in traditional beach huts near Goa Lawah, at Kasumba and also at Amed. Goa Lawah bat cave temple - 20 mins to the West back on the airport road. 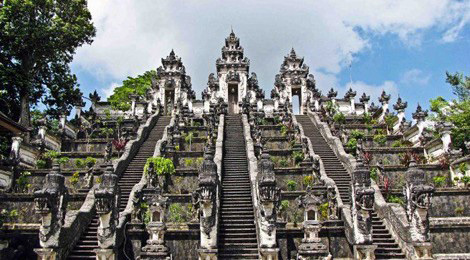 This temple features in many Bali Hindu legends, and is a must visit by many Balinese people. You will see many ceremonies there. The temple was renovated in 2012. 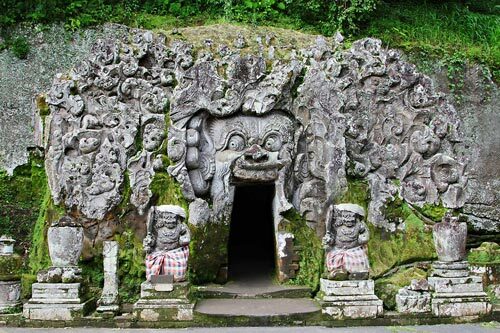 The story is that there are tunnels underground linking Goa Lawah with Besakih Mother temple on the mountain. The story has it that there are 2 python snakes there and if they die then it means spiritual trouble for Bali. On the way to Goa Lawah, you can spend a few hours at the Tura agro farm. A basic family affair, where you can taste all the teas and also the famous Luwak Coffee. They have a pet civit, and a pet monkey. You will see all types of herbs plants trees and spices growing in the garden, and buy many of them beautifully packaged in the shop. Entrance and tea is free. Coffee Luwak is 50,000. 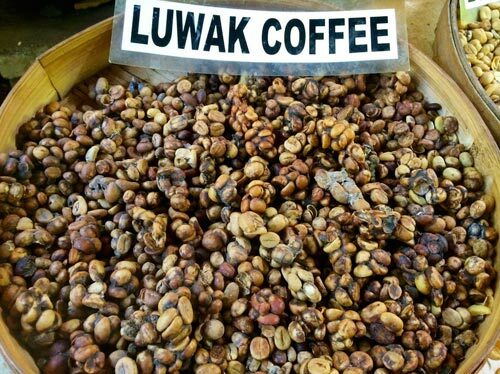 Luwak coffee is made from the Civit poo! And is purported to have many healing properties. Further west on the bypass – a must see day visit to the Taman Nusa cultural heritage park & museum, 30 mins. Here you can see and experience all of Indonesia and its culture in one day. About 60 houses from all over Indonesia, with guides in traditional dress, and dancers or musicians from each area. Very interesting. Entrance fee including set lunch about 450k . Restaurant and many drink and juice stops along the way. Charlie's Chocolate Factory - Jasri ( 15 mins). Visit Charlie for a unique experience and for amazing raw organic chocolate, together with his wonderful natural & mystique soaps all of which you will find in your room. Cooking school - we recommend Penny and Bali Asli for the best experience. We can book school and return transport. About $100 per person. Le Zat at Ashyana also offers cooking school at 500k per person. From time to time, in busy season and by request, Aquaria offers Magibung master class. We bring the market to you and our chefs show you how to prepare 3 courses from the Bali magibung. You will have an on hands experience in preparing the important Bali paste needed for most Balinese cooking. 200k per person, includes Magibung dinner. Amlapura market - this is a natural “organic” local market, not touristic, not a bazaar. Full of tee shirts and plastic shoes, jostling alongside home made cakes, chickens, fruit and spices. Amlapura King's palace - the home of the last Prince of Karangasem, the family still live in part of the compound. Amed & East of Candi Dasa - a day trip will take you via Amlapura and Tirtaganga to Amed and down the rocky coast line and back via Seraya. A stop to swim or snorkel and lunch can be included in your tour. The area known as Amed is actually a group of about 5 villages over about 20 kms, and a tour by car is the best way to see it all. Amazing views over the Lombok Strait, and to Mount Agung and the rocky European style coastline where you can see over 1,000 Jukung boats drawn up on the shore after a day’s fishing. 500k per car for 1-4 guests, plus lunch. Diving and snorkelling - there are many dive centres in Candi Dasa, from all nationalities. It is best to choose the one you are most comfortable with. We recommend Yos & Jelena from Zen Diving, who will give you a friendly, spiritual, and magical experience at an all inclusive price less than most of the others. The dive centres will pick you up and take you to the most famous dive sites, locally and over to the shipwreck, Tulamben or Manta Point. September is the season for the Mola Mola. The small islands in front of the hotel (Gili Mimpang ) are world famous dive sites with sheer cliffs and nursing sharks, for experienced divers. You can rent snorkelling masks and fins locally, please ask at reception. The coral is regrowing out in front of the hotel and it is safe and good for snorkelling around the cement walls/groins. Padang Bai is also famous as a diving centre with many dive centres operating from there. 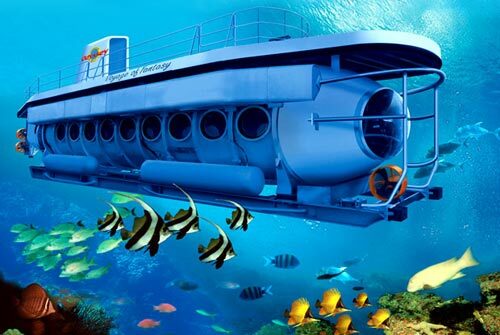 On the way to Padang Bai... Odyssey Submarine for an underwater experience without diving.... their price includes hotel pick up and lunch. They also offer the suits for underwater walking. The Blue Lagoon is famous for diving, warm shallow water. But do not snorkel at the white sand beach. Fishing with the local fishermen. They will take you out in a Jukung boat early in the morning, when the damuh (mist) is rising, and then will cook your fish at the beach. We can negotiate the best price for you, but cannot promise to find you the best fishing site! Paragliding, and paddle boarding may be available locally – we can check for you. Biking - we recommend East Bali Bike Tour, beware of drivers offering you an alternative. 500 – 650k per person, depending on tour and agility, includes, bike, guide, transport, and usually lunch. We can organise & negotiate for you. Surfing - ask the staff to arrange with you for surfing locally with the boys. Or go out to Jasri and surf with the famous Hawaiian divers who live out there. There is a surf school at Jasri. Or choose Surf Safaris in Sanur, for an amazing organised experience; they will take you to the best places for surfing. Relax and swim at the beach - take a boat to the White Sand Beach, for turquoise swimming and fish lunch at the beach front warungs. A boat is the best way to go, you can see the local coast, and arrive as though you have gone to a desert island. 20 mins by boat, about 300k per person return (min2), plus 75k for lunch. Beware of the rip. It is not safe for young children, or snorkelling. We will negotiate the best price & best Warung for you, so that you can get free use of sun bed and umbrella. Trekking - through the rice fields from Kastilla to Tenganan, or Tirtaganga You will need a guide and a car to take you to Kastilla. We can organise trekking for you. Serious trekking - Mount Batur/Agung trek to see the volcano; we can organise for you. You leave early in the morning and are taken up to the mountain where you will meet your guide. Takes about 8 hours, back by lunch time. It's very cool, wear the right gear, and shoes for mountain trekking, not for the faint hearted. 400k-900k per person. Book with Mudi goes to the mountain for a safer experience. Padang Bai 30 mins Extreme sports, apv & Paintball, near the safari Park. White water rafting - we can negotiate the best rate for you, usually 20% off the advertised rate. Kintamani Lake & Spice Farms – you can also try the Kintamani resort camping experience. Lombok and the Gilli Islands - There are many fast boats & catamarans operating to Lombok and the Gilli Islands, from either Padang Bai or Amed. Boats now go to Nusa Lembongan & Nusa Penida from Padang Bai. We can check the up to date timetables. Check that the boat company will pick you up free from Aquaria. Some of the boat companies will drop you back to Sanur, if they also operate there. We will negotiate the best rate for you, at less than the list prices but cannot take responsibility for the service; we rely on guest's feedback for info.